Those of you who have children at secondary school, or are teachers or librarians, may have come across a new(ish) scheme called Accelerated Reader. Administered in the UK by Renaissance Learning, Accelerated Reader is a system that grades books, suggests appropriate reading levels and then monitors pupils' reading by giving them a multiple choice quiz on the book they've just read. The system analyses the quiz responses to show teachers whether the pupil has read the book, and what aspects of it they found difficult (e.g., vocabulary, or higher level comprehension). If they fly through a couple of quizzes, they are rewarded with a higher reading band. 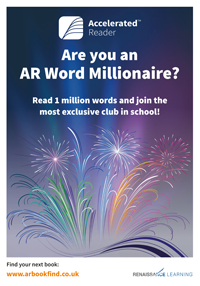 They can also collect points according to how long the book was that they read - leading to a total score of words read, and the accolade of 'word millionaire' when they get to the magic 1,000,000 words. They are however expected to stay within their bands - books read outside them, although allowed, do not count for rewards and incentives. For a slower reader, expected to progress at a certain number of books per term, or for a competitive reader, determined to get to the millionaire mark first, this more or less prohibits reading outside the given bands. According to the National Literacy Trust, the use of Accelerated Reader in schools does actually get more pupils reading, and increases the proportion of pupils in the difficult teenage years who say they enjoy reading, will admit to a favourite book, and read widely across genres. My daughter's school has just started using the scheme and the number of pupils taking books out of the school library has tripled compared with the same time last year. It's hard to argue with that kind of boost to pupils' interest in books and there really does seem to be a noticeable encouragement to read through the motivation of online quizes and rewards, particularly for boys. 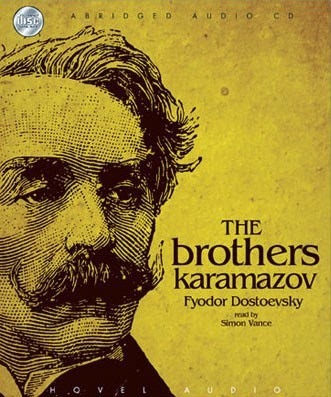 More complex sentences and more advanced vocabulary result in a higher banding: and this more or less seems to work in terms of what one thinks of as appropriate progression - nobody is capable of reading Karamazov before they're capable of reading Goosebumps. But there are two things I think are seriously problematic with the underlying assumptions of this scheme. The first is a prescription that I think is wrong-headed: that we progress in reading in a straight line - that when we are capable of reading Dostoevsky, we are 'beyond' R.L. Stine. In fact, I think there are plenty of people who might go back and forth between the two and get different pleasures out of each. AR schemes do talk about letting pupils read 'below' their level as occasional 'comfort reads' - but this is presented as a kind of reversion. It's a bit like the idea that we all sometimes need to watch crap telly and eat donuts. It won't enrich our lives but it will give us some 'down-time'. For me, the idea that you are 'slumming it' by reading the 'easier' book is a pernicious one. The lower-level books are not just donuts, they may have all sorts of fabulous and enriching things to say to us as readers - they just do it in a different, though not necessarily less crafted or effective, way. The second assumption is that the 'straight line' of reading progression is entirely about syntax and vocabulary. And this is where the truly jaw-dropping anomalies of AR banding become apparent. 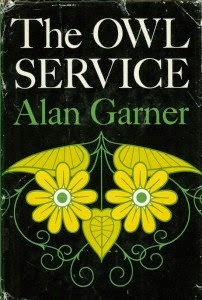 Using the AR website to check the relative banding of books for my daughter, I was amazed to discover that Alan Garner's Owl Service is banded at 3.7. 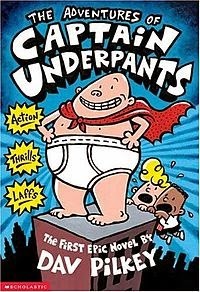 By contrast, Dav Pilkey's Captain Underpants is 4.3. And Captain Underpants and the Revolting Radioacive Robo-Boxers (presumably because of the number of multi-syllable words) is a whopping 5.3. Bear in mind that the AR scheme suggests pupils are given relatively narrow bands to choose from - my daughter was started on 4.5–4.9. She was too high for The Owl Service, although she couldn't yet read The Weirdstone of Brisingamen, at 6.3. If she waited to be able to read the Weirdstone, however, she would be too high to read its sequel, The Moon of Gomrath, which is 5.4. Philip Reeve's Here Lies Arthur (a fabulous retelling of the Arthur legend from the point of view of a young girl co-opted into helping the bard Merlin, who is presented as a kind of early 'spin-doctor') is 5.6, so she'd reach that well before she was able to read Reeves' knockabout books for younger readers, the Buster Bayliss series (Custardfinger is rated 6.3). Meanwhile, she is lucky that her favourite author, Marcus Sedgwick, uses relatively simple sentences, as that means that many of his books are in her range (My Swordhand is Singing, a complex tale of vampires set in medieval Eastern Europe, is 4.9). However, she's missed out on his Floodland, which is 3.9, and it won't be long before she's progressed to the point where all of Sedgwick's novels will have to be 'comfort reads', as Kevin-Crossley Holland's magnificent Arthur books already are (4.2–4.3). 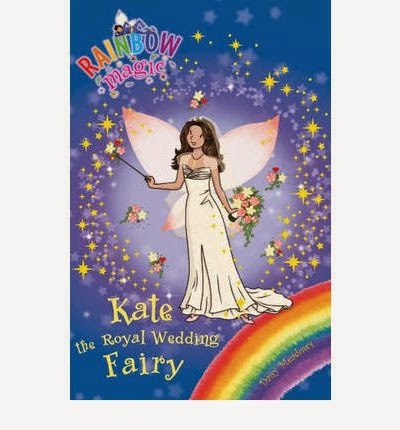 Never mind - because she can always stretch herself with Daisy Meadows; Kate the Royal Wedding Fairy is 5.4. I could go on - but here is one final one to ponder. Debi Gliori's Pure Dead Brilliant is a whopping 7.5. This means you won't be able to progress to it till you are too high for The Lord of The Rings (6.1), and in fact you'd be in the same ball-park band as The Silmarillion at 7.9. The computer analysis used to grade AR books clearly doesn't read them - it processes them as strings of words. The more important aspects of books - the ideas, the plot twists, the characters, the emotions, the metaphorical language - all of this is entirely missed. Yet this is most of what makes a book enjoyable, memorable, heart-breaking, what touches or thrills you as a reader. 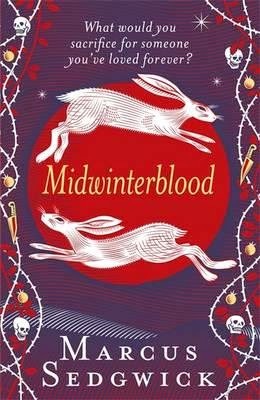 I am immensely saddened by the idea that whole swathes of teenagers are going to flick past The Owl Service and fail to pick it off the shelf of the school library because it has a black sticker on it (easy) rather than green or purple (harder, higher, more worthy). Accelerated Reader is beloved of Ofsted, because it produces quantifiable results and signs of 'progress'. It certainly seems to be getting more pupils reading, and excited about getting their rewards and stickers - but it's encouraging at the same time a very quantitative approach to what reading is, and how we should do it. According to the National Literacy Trust survey, an extra 7% of pupils using the scheme are prepared to say they enjoy reading compared with those that don't use it. I wonder if that's an achievement worth celebrating if 100% of those pupils now think of reading as a goal-oriented activity with 'difficult' vocabulary being the measure of value? Cecilia Busby writes fantasy adventures for children aged 7-12 as C.J. Busby. Her latest book, Dragon Amber, was published in September by Templar. Sounds like a lot of reading schemes I've known. Anything done by computer is problematic. We use Fleisch Kincaid at my school, but recognise that it doesn't always work. In the end, when the FC assessment doesn't make sense, my colleague and I use our common sense with rating the books in the literacy collection. I remember writing some literacy cards for my publisher once. I had to tell the story of Perseus and the Gorgon at Grade 2 level. Thing is, that story has a lot of three and four syllable names - which make the rating shoot right up. So I changed the names to one syllable names(Medusa became Jan) and it worked. And I let my publisher know. Yes - one of the librarians at my daughter's school commented that they had an early reader on dinosaurs that came out incredibly high because of all the multisyllabic dinosaur names! I've written those banded reader books on dinosaurs, etc - you need to make all the other words short to get the dino-names past the software. Sometimes I've swapped a more interesting/ appropriate dinosaur for one with a shorter name. It is stupid - but maybe some of the kids couldn't cope with therazinasaurus unless the rest of the book was less of a challenge? I've been using those reading analysis bits of software since the 80s for various purposes, and they have improved. (Originally, they were used, I think, to test the level of literacy a person needed in order to understand a piece of text - so whether functionally illiterate US soldiers could read the instructions on safety equipment, and so on.) But of course they will never deal with the complexity of the concepts, plots, characterisation etc (and they don't claim to). They have their uses, but this is using them wrongly if they are discouraging children from reading outside their technical literacy band. I think, though, it is rather patronising to assume that "100% of those pupils now think of reading as a goal-oriented activity with 'difficult' vocabulary being the measure of value". Children are not stupid. They know the difference between been assessed at school and what they get from something. I'm not defending these schemes in general, but they have their place for reluctant readers, children whose first language isn't English, and others who need help developing basic literacy skills. But I don't think they have a place amongst children who can read well enough already to be able to tackle the books in the scheme. Rewarding them for reading books is fine - it's how we get them to try something they might not feel like doing. But reward without restricting the books they can choose, surely. First time I came cross this was in a school where enjoyment of reading is absolutely paramount, not just on the fabulous librarian's agenda but the Head's too. The school sang with the enjoyment of reading and I watched the kids diving towards the AR shelves. I was immensely impressed and the librarian (one of the best i've ever met) was a big fan of AR. not on its own, of course - no scheme should ever be used on its own. The methods of measuring reading level are not perfect (as you've just shown) but they are very well tested and have improved over the years. Ah! That "fabulous librarian", Nicola, may not be in all schools using the ALR scheme, nor the wise Head Teacher. I'm glad that such incentives work well, but Celia's made some very valuable points about how this computer-led book-grading works in practice, and how there's more to the content of books than the word & syntax model. Reminds me that some time ago, the junior books in our primary school were graded by such a scheme - and the text of the (currently famous) Paddington Bear books was well above the age of the likely readers. I think this is really upsetting. My daughter adores reading but she is also very competitive and I think this kind of scheme is actively going to be detrimental to her experience of books. None of this kind of crap would be necessary if only children in schools all had access to qualified and properly-paid librarians. I've heard secondary librarians raving about this scheme, especially, as you say, for the more reluctant boy readers. One of my my local high schools has what seems to me a really good way of using the scheme - each pupil is supposed to take two books out of the library and one is according to their AR ranking, and the other is a completely free choice. This seems like a good compromise. My son's primary school just started using this and I had no idea it was all based on word complexity- I naively thought it was NC levels (as he was on the level that happened to match his reading level- if that makes sense) He does enjoy the quizzes -he is only 7- and he does want to read his books from school with more enthusiasm- though he already was a very keen reader before. I'd be interested in knowing how other primary schools are managing it. Phonics and Books (nice name!) - I'm interested to hear this is being used in primary schools. I think it does make sense, if it works, to start that push towards really getting children reading widely before they get to secondary. C.J - it seems to me that a lot of the arguments are similar to the "age-banding" debate, about which I posted about on ABBA here - http://awfullybigblogadventure.blogspot.co.uk/2014/02/why-im-happy-to-support-age-banding-of.html. No scheme is perfect...as you show! (I'm still goggling at the high rating given to Kate, the Royal Wedding Fairy.) But in a very confusing world of books, where most kids don't have access to a specialist librarian for advice, I think getting some kind of steer really helps. It's not the rewards that bother me - it is the restriction. If AR was used with much wider bands - with an acknowledgement that actually the software is not perfect and you need to allow for choice and for ranging up and down from easier to more difficult books, it would be fine. Good readers will always emerge from these things unscathed (and clearly 100% of readers won't end up seeing reading as a goal-oriented activity, apologies if my hyperbole offended anyone). Plus good, sensitive librarians and English teachers will mitigate the worst effects of AR - but I do think we should be questioning a system that claims to grade books accurately for optimum reading progress and might be seen to make a trained school librarian superfluous. 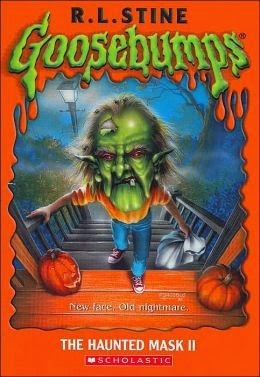 I hope you don't mind I've referenced your post in my new blog post http://www.minervareads.com/?p=332 about age appropriateness of books (also a contentious issue). I, like CJ Busby above, fear that systems like this can (not always) make schools feel that school librarians are superfluous. I know from experience all the children I work with are fixated on 'levels' for their reading, which I think is really sad. Just thinking of English vocabulary as the bricks of the language, but only if the reading and learning material is good. Thank you for such wonderful and interesting article.